Music is something that we feel, the rhythm of the rain, the maternal heartbeat for a foetus in utero and the pulsating waves from a base drum to a person without the ability to hear. Music is experienced, therefore access to express these feelings should not be confined to a select few. Over a series of postings i will take a look at some newer instruments which may enable budding musicians to find their groove and also highlight some of the existing accessible options. Please join in to create our universal orchestra -all together now! Basically whatever you have use it, voice is one of the more widely used instruments but toe tapping, humming, clicking, clapping all adds to the orchestral piece. One of the more creative examples of this is producing a sound by clapping both hands together so that the air is trapped between the palms, then squeezing the air out vibrating the skin of the palms, here is one such musician displaying his talent a so called manualist enjoy! 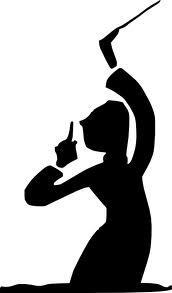 Below is some inspiration to get you going..
could switch users take part, how about the deaf? Tell me how! Ever heard of a Skoog? Sounds like a range in Ikea, but it is actually a new exciting musical instrument and tool for inclusive education. The brainchild of Doctors David Skulina (Physics/Music) and Ben Schogler (Psychology/Music) developed in the University of Edinburgh, the Skoog boasts usability for those unable to play traditional instruments. 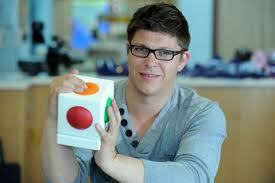 It is a soft squeezable cube shape with 5 colourful buttons on sides (barring that on which it sits). Plugging straight into a USB port the Skoog adapts to the users movements tap, flick, touch, squash, press any of the surface area programmable with a choice of scale and notes, different instruments and even upload sample sounds yourself. With its versatility, sensitivity and innovative design features the Skoog sure does seem to tick all the boxes. Well who is this little cutey, 3 dimensional pac man and a vertical tail with attitude. Is it a toy or is it a musical instrument shaped like a quaver note lasting 1/8 of a bar? That is up to you, but what I can tell you it is the quirky invention of a Japanese art group Maywa Denki who engineer imaginative products and perform demonstrations. Little pac man himself has a face which will sing creating the vibrato effect by squeezing his cheeks, the tail which is both pitch and tone is controlled by sliding a finger along the either towards or away from base. 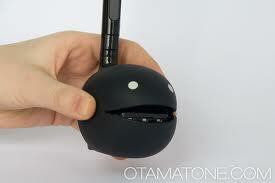 Otamatone masters have further controls available on the back to refine performance ability, although many otamatonists prefer to freeform and release the musical beast within. 3AAA batteries are required and a high functioning ability of motor control in both hands is crucial to operate the product efficiently. With 5 colours to choose from black, white, yellow, pink and blue the otamatone can be used from experimentation right through to recital. and now even an app..
Below are a number of new interesting products being developed at the moment that are due to be available by Summer 2013. These are phone-based door products that enable you to use your phone much as you would a key. You walk up to the door, with your phone instead of your key, then unlock the door with your phone. UniKey is a deadbolt that fits to your door. 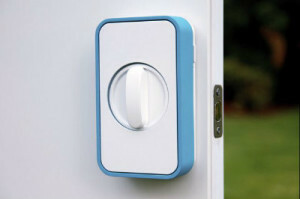 It uses Bluetooth wireless technology to unlock the door. You just touch the UniKey deadbolt, and it unlocks if your phone is within a few feet of the lock. Another feature is that with the UniKey app you can send an electronic copy of the “key” for example, if you want to let a friend into your house while you’re away, you can send the key over the Internet, then the friend can use it to unlock your door. You can also revoke keys using the app and send keys that work only during certain hours of the day. Another similar smart phone lock is the Lockitron. Rather than being a replacement deadbolt, the Lockitron fits over your existing deadbolt and turns it phyiscally when you send the command from your phone. You can also turn the lock by hand. It connects through your home’s Wi-Fi network, which means you can unlock the door from anywhere in the world over the Internet. 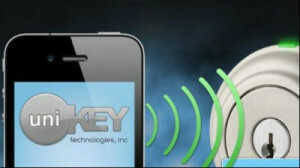 It can also be set to unlock the door automatically as you approach by detecting the Bluetooth signal from your phone. You can also grant access to others by sending them permission over email. 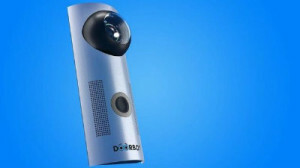 The DoorBot is a doorbell and a camera that installs next to your door. The way it works is that when visitors ring the doorbell, your phone alerts you and you can see who’s there, even when you’re not at home. You can speak to them through your phone. The camera has infrared vision and so works during the night. The DoorBot is designed to work with the Lockitron, so not only can you see and speak with whoever’s at your door, but you can let the person in, too. Many of our everyday devices are moving towards platforms that offer great functionality with the ability to customize around our needs. However high tech solutions can have a number of disadvantages. One disadvantage is complexity which can be associated with frustration for new users. Other disadvantages can be cost, battery life, and reliability. For example for an individual who needs easier access to the opening and closing of windows there is the high tech solution of fitting an electric window opener and setting up a computer based controller (1) or alternatively there is low tech option such as manual window openers (2). Although the manual opener may suit a user’s need to ventilate a room it has only one single purpose. Mainstream or specialist? Which is best? Smartphones, iPads, tablets…..it seems like we’re spoilt for choice these days with all kinds of devices which allow us to find our way around, pay our bills, play games, listen to the radio, play movies and – oh yes, make calls and send texts! Some of these are more affordable than others. Some are more user friendly and others less so. One thing that they all do though, is offer users of differing abilities the chance to do things which they may previously have struggled with. Many of these devices work perfectly well on their own, but sometimes they work even better when they’ve been modified or customised in some way. For example, an individual might choose to link an infra red receiver to a tablet to allow TV channel changing or to control an electronic door opener. On the other hand, there are many specialist technologies on the market which are designed with a very specific use in mind. 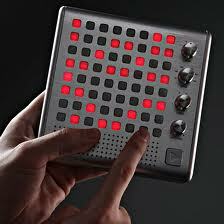 Examples include: voice output communication aids and environmental controllers. Because they’re targeting a very defined (and therefore smaller) market, their cost tends to be considerably higher. However, they might also offer the user a higher level of functionality precisely because they’ve been designed with the user group’s particular needs in mind. What is your experience of mainstream vs specialist technologies? Is one consistently better than the other? And how important is cost when it comes to choosing a technology for your personal use?